The St George's Northern Police Orphanage was founded in 1897 by Miss Catherine Gurney (1848-1930), whose tireless work in the field of police welfare led to the establishing of a number of organisations and institutions. These included the International Christian Police Association, the Police Convalescent Seaside Home at Hove, and St George's sister institution, the Southern Provincial Police Orphanage at Redhill in Surrey. St George's was intended to maintain and educate fatherless children of the members of police forces in England and Wales, and also ex-police in naval or military services. A separate charity existed to help the orphans of officers in London. The orphanage was opened in premises previously occupied by St George's College, a private school for boys, whose name was retained by the new establishment. The property, a substantial stone building with 12 acres of grounds, was situated on Otley Road, Harrogate. Its purchase cost £10,000, a substantial portion of which was donated by Sir Henry Mitchell, a Bradford mill-owner and philanthropist. The scheme also included a police officers' convalescent home, with around 40 children and 30 adults initially sharing the existing building. 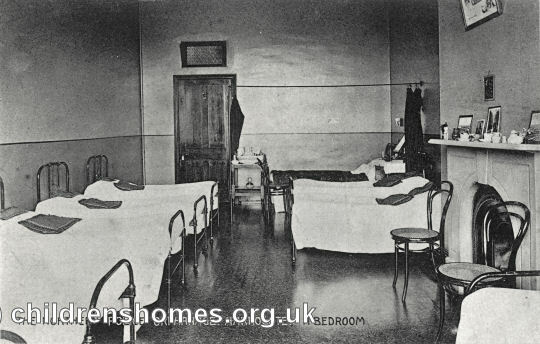 In 1903, the convalescent home moved into a new building at the north of the site, then becoming known as St Andrew's. The location and layout of the home are shown on the map below, published in 1932. 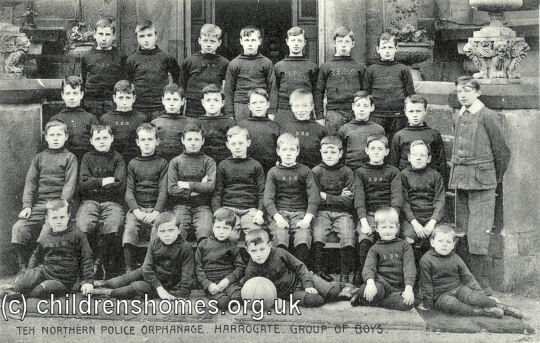 St George's Northern Police Orphanage site, Harrogate, c.1930. 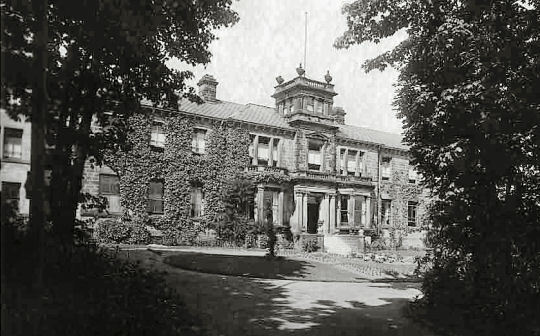 St George's Northern Police Orphanage, Harrogate, original building and main entrance from the east. Courtesy of Peter Taylor. Later additions to the orphanage buildings included a sanatorium, gymnasium and laundry,with a new boys' wing being added in 1929 and a new girls' wing two years afterwards. 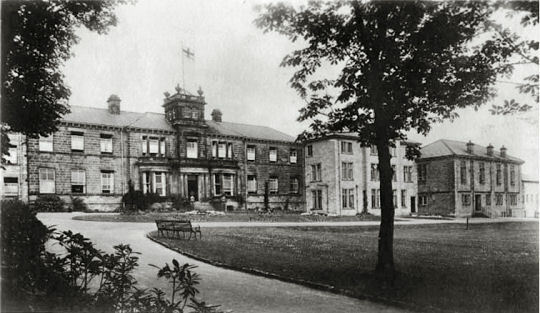 St George's Northern Police Orphanage, Harrogate, with later additions. Courtesy of Peter Taylor. 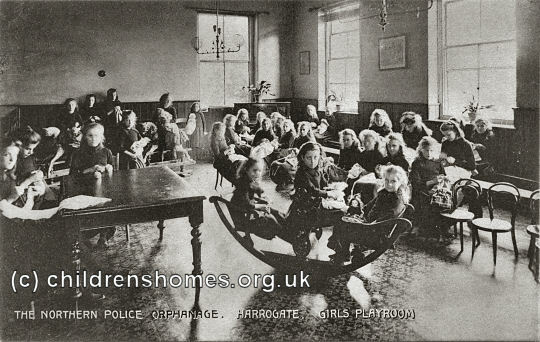 St George's Northern Police Orphanage, Harrogate, children at the home, 1946. Courtesy of Peter Taylor. 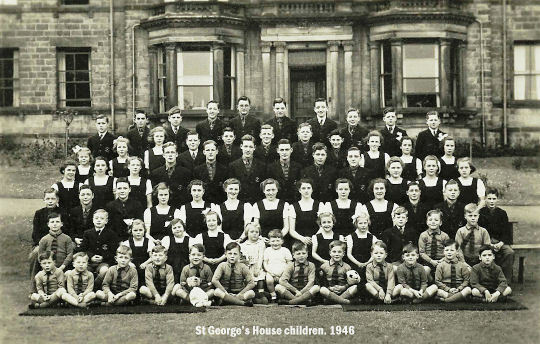 In 1955, dwindling numbers forced the orphanage to move to smaller premises at Albany Lodge, 16 Hereford Street, Harrogate, which was then known as St George's House. However, the home was finally closed the following year. The orphanage site on Otley Road has been redeveloped and is now occupied by modern housing. Proceeds from the sale of the site were used to set up the St George's Police Trust, a charity helping children whose police officer parent has died or has been incapacitated. The St Andrew's Convalescent Home still exists, now known as the St Andrew's Police Treatment Centre. The Police Treatment Centre is understood to hold some post-1926 admission records. West Yorkshire Archive Service - Wakefield, Registry of Deeds, Newstead Road, Wakefield WF1 2DE. Has some administrative records (1926-1933). St George's House — an extensive online history of the institution.